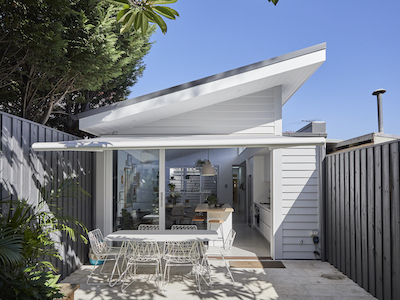 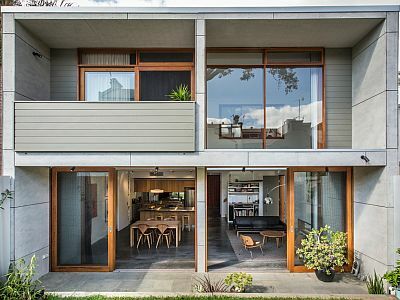 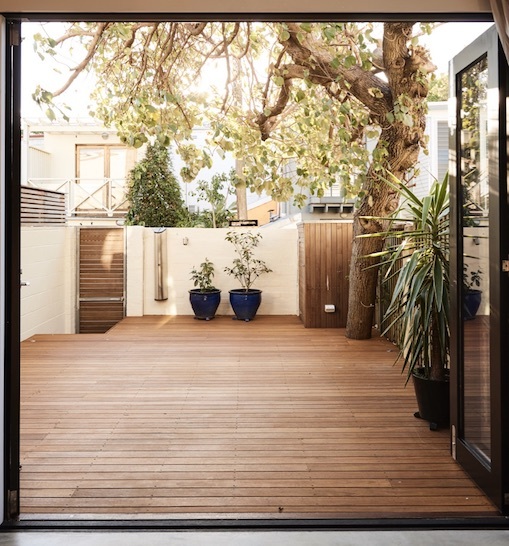 The owners of this terrace wanted to connect the ground floor living areas with a small courtyard at the rear, which was blocked by a laundry and bathroom. 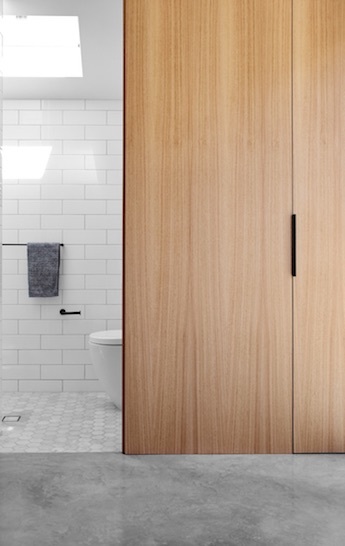 They still wanted a bathroom on ground floor so we designed a super compact one with a laundry concealed in joinery. 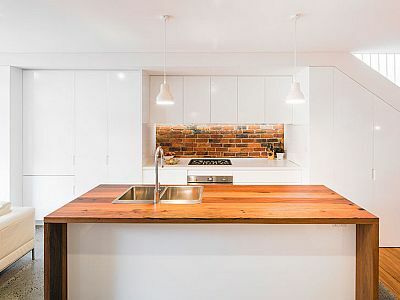 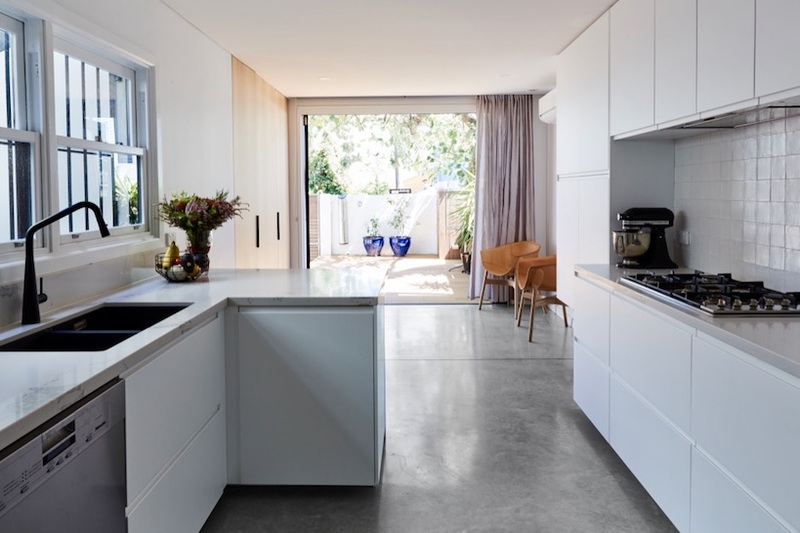 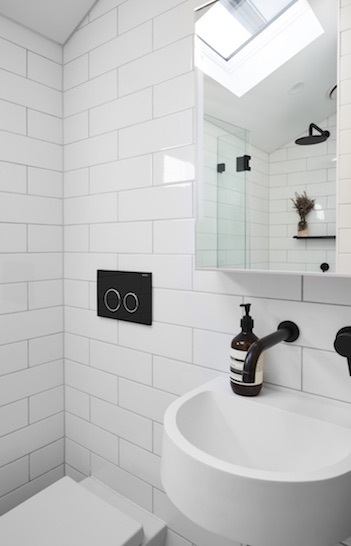 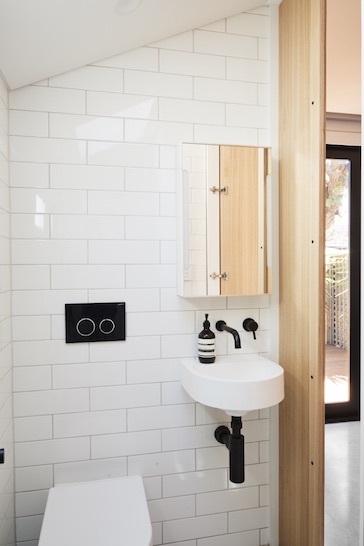 The existing kitchen was also re-planned to facilitate the open living at the rear, and the tiny existing first floor bathroom was re-configured to be more functional. 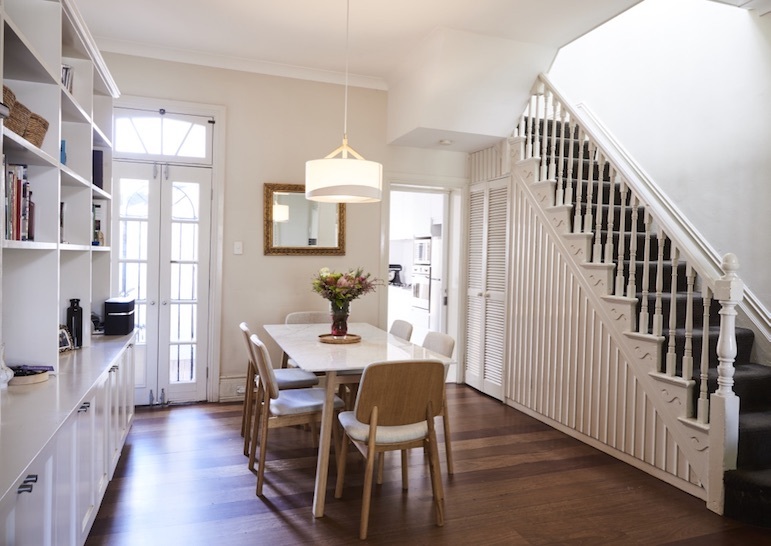 Full credit goes to Lisa McGowan for the interior fixtures, fittings and finishes selection.